Rockstar Games are very well known because of their massive hits including Grand Theft Auto series, Max Payne 3 and L.A. Noire among others. In May 2010, they released Red Dead Redemption for PlayStation 3 and Xbox 360. The game was a sensation throughout the world and was liked by almost every gamer. It depicts the Wild West and contains a number of different missions. The main lead, John Marston every now and then comes to the rescue of troubled women. On the other hand, he also has the option to play games like poker and horse shoes. However, the most exciting part is the duels, in which he fights for his life and honour. You can learn the art of duel by practicing and you need to focus of course. How to start a duel or accept a duel challenge? Duels can be started or accepted during various times in the game. Moreover, at all times you can avoid facing a duel if you don’t want to. 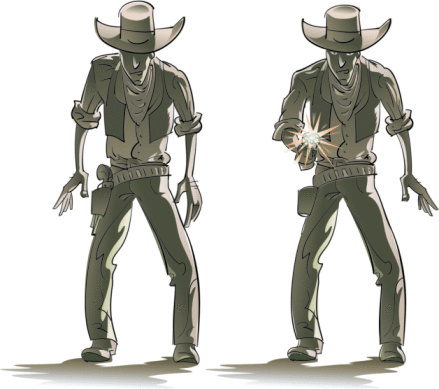 While you are roaming in the Wild West, you may come across a character that wants to have a duel with you. If that happens, accept the duel challenge and defend your honour by killing him. In order to start a duel, wear an Elegant Suit from your closet. You can also get this at Thieves Landing. After that, play in a poker game and cheat so that your rival asks you for a duel. How to draw your weapon during the duel? Make sure you draw before your opponent. If you draw first, your blue bar will fill quicker and if your blue bar is fuller than your rival, you will definitely win. In that case, you will have a blue bar and his bar will be red. Importantly, remember to aim your shots with the right analog stick of your controller. If you want the fight to be over as soon as possible, shoot him in the head. Furthermore, if you just want to disarm your rival, shoot anywhere on his arm. Be careful with the crosshairs. Aim when the crosshairs are white and little rather than when they are red. Also you can fire as much as you want. On the other hand, go near the dead body and collect guns and ammunition. Check for cash as well once you have defeated your rival.